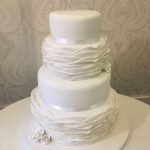 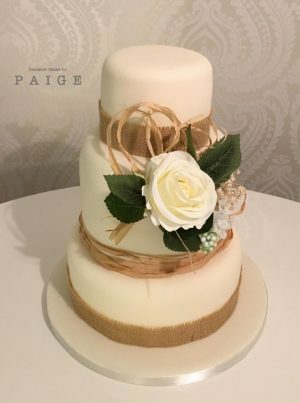 This beautiful ivory cake accented with hessian ribbon and natural looking straw is perfectly finished off with a neutral flower spray. 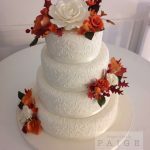 Perfect for giving your day a bit of a rustic feel. 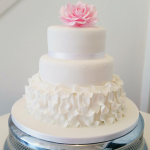 Tailor made wedding cakes perfectly fitted to your big day! 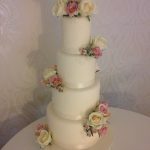 No matter how big or small we can create your dream cake.